This book outlines a strategy for maintaining high standards of writing, even when under pressure, to make sure that all of your work comes out tip-top, even if you wrote it in half the time at 3am. Daniel H. Pink’s Drive: The Surprising Truth About What Motivates Us insists that business has it all wrong because it does not apply what science knows—that the human animal is motivated not by money or extrinsic gains but creative challenges or intrinsic considerations. Pink, the author of A Whole New Mind: Why Right Brainers Will Rule the Future, which I reviewed on this blog in an earlier post, claims that organizations have a greater chance of flourishing if they learn to tap into our natural tendency toward problem solving, self-development, and creative endeavors. The author uses the metaphor of the carrot (rewards) and the stick (punishment) as examples of twentieth-century thinking that no longer work in our society and economy. He refers to case studies from the business world to suggest the triumvirate of autonomy, mastery, and purpose are the clarion call of our time. My book How to Write Fast Under Pressure is on sale. A friend recently asked about the difference between emigrant and immigrant. It's just about the same difference as take and bring. Emigrants take their belongings from their native country and become immigrants, as they bring their belongings to their adopted country. Of course, emigrants emigrate and immigrants immigrate. In my wallet are loads of necessary inconveniences: ATM and credit cards; medical, dental, and prescription cards; driver license and car registration; AAA, Borders, BJ's, Shop Rite, and hotel membership cards; and bus, train, and subway passes. 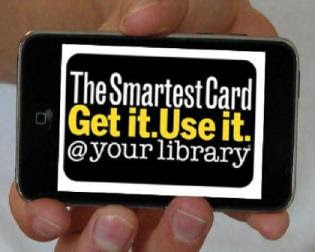 Be a card-carrying member of your neighborhood library! You're entitled to it—and they'd love to have you! What a privilege to own a library card! If you agree with me that people connect with each other—and, therefore, do business with each other—based more on emotional than on empirical grounds, then you’d want to master the art of the story. The National Storytelling Network and the International Storytelling Center exist for such a purpose. To get started with a book on the subject, read The Story Factor: Secrets of Influence from the Art of Storytelling, second edition, by Annette Simmons (Basic Books, 2006). If you’re new to storytelling, which is an indispensable skill for managers of anything and anyone, you’ll like the simple theory and examples described in this book by a master storyteller. Simmons identifies six stories to learn and techniques to apply them in employing the story. They are Who Am I, Why I Am Here, The Vision, Teaching, Values in Action, and I Know What You Are Thinking.